I have always sported long hair because I was born with natural curls. It's very hard to manage especially during my teen years. I remember back in high school, it has always taken me hours everyday just to get a decent hairstyle done, and that's just a simple ponytail if I may say. Then I discovered that braiding my hair is the most convenient way to manage my hair. But I remember, one of my lolas told me not to always braid my hair because it will just make it more curly. Guess what I did? I still continued on braiding my hair eversince. Haha! I really find it difficult to do other hairstyles with my hair except braiding and ponytailing it. Also, I can't sport a short hair as it would only make it more challenging to style. 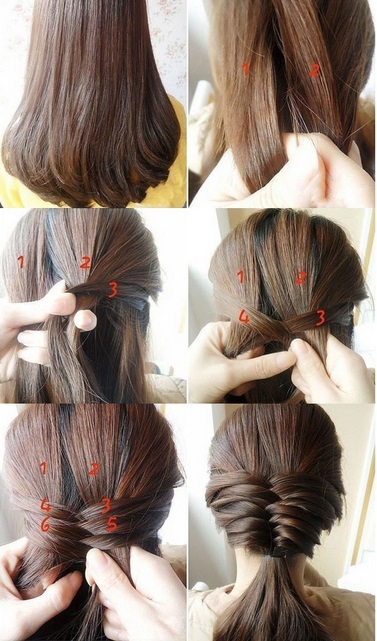 Gather a small handful of hair from the back center of the head and separate the hair into two sections. Take a small strand of hair from the right section, pull it back and cross it over to join the left hair section. Take a small strand of hair from the left section, pull it back and cross it over to join the right hair section. Repeat these steps all the way down the back of the head. Continue throughout the “tail”. Fishtail braid looks beautiful either neat or a little disheveled. 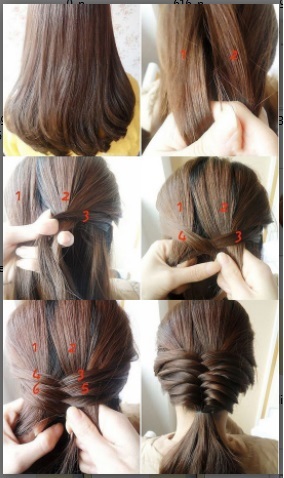 To achieve the disheveled look, gently pull apart/loosen the braid. It’s okay if it’s uneven or little pieces falls out. Gives the fishtail a youthful, messy ease. - You should brush your hair before braiding. Knots and tangles make it hard to braid your hair. Might also hurt a little bit! - Part on your natural side. Adjust instructions according to your part. For a more comprehensive tutorial, here's a video. Video is not my property, I found it here. So, that's pretty much about it. Very simple and easy to do! The photo above is the half fish tail braid which I find really nice! 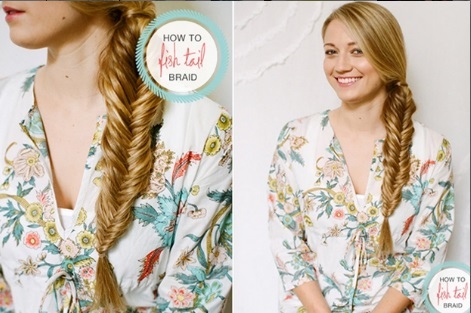 If you wish to, you can go all the way down to the "tail" to achieve a full fish tail braid. If you're doing the braid all by yourself and your arms get tired easily, you can just ponytail your hair and then fishtail braid it, just like in the video and in this picture below. Very pretty! If you think that that look is still somewhat boring, you can "spice" it up a bit by adding colors, like this photo below. Messy but pretty! Nice! As easy as it may be, fish tail braid takes a little longer to do that a regular three strand braid. But it's all worth it if you want to achieve that unique looking and not so boring kind of braid look. That seems a nice hair style. I would try learning this one time. I saw that braids were trending again specially when I caught it a Kristv episode a few days back. Braids are always pretty. My daughter loves to be in braids. I'll try to try it out on her. I never really learned how to braid my hair, although I find it so nice! I have always wanted long hair, but when I do, I don't braid it naman. My First Sample Room Samples Are Here! Vote For Me @ Top Mommy Blogs! Romwe's Mid-Season Sale Is On! Come And Join Us At The Top Mommy Blogs! The Green Light Sale Is On! I Won The Mother's Day Beauty & ME-Time Giveaway! Simple Joys Photo: Trev's "Tattoos"
Simple Joys Photo: He Discovered Our Wall!